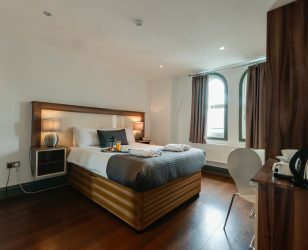 Base are pleased to offer both serviced apartments and standard double rooms (without kitchen facilities) in the heart of this historic city. Base City Road is located near a beautiful canal and above an English Pub which holds a licence to play live music until 12:30am. 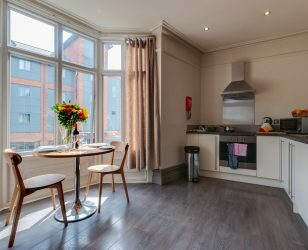 The Forum Shopping Centre, Chester Cathedral and the city’s many eateries and bars are just a 10-minute walk away. Chester racecourse, the historic city walls and the Roman Amphitheatre are within easy reach by foot. The block consists of immaculate, modern properties with quirky, unique design features, implemented by the architect of the building. 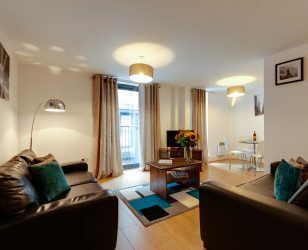 All serviced apartments feature stylish well-equipped kitchens, along with widescreen TV’s and living spaces. 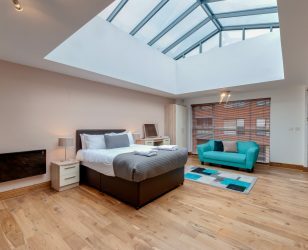 Ideal for long and short stays, City Road offers the perfect base for guests enjoying a lively break in the city. 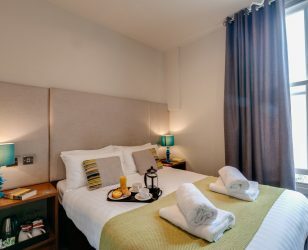 Travelling to Base is easy, check in is located just a 10-minute walk from Chester train station and secure parking is available nearby. Why book direct? – Receive the cheapest rate available and take advantage of our direct booking benefits. Stayed in the 2-bed apartment for a mid-week break. Check in was effortless and found the lady who checked us in to be efficient and friendly. Although we arrived early to drop off bags we were delighted to find that the apartment was ready. 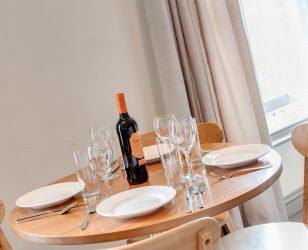 The apartment is a great size and well equipped, excellent location just five minutes walk from the rail station and another five minutes walk to the shopping area. Received a follow-up phone call on the day of check out to check everything was ok with our stay which was a nice touch. Will definitely book again and will look at other locations if visiting. We had a wonderful stay in Liverpool. 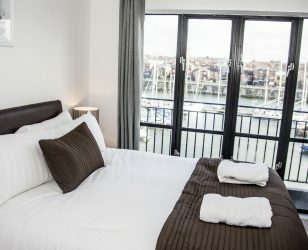 Base Serviced Apartments was a good choice. The apartment was clean and really nice. We recommend the apartments for families and others who would like to stay in a quiet neigbourhood. These are excellent clean, modern apartments in the middle of the city. The staff were very helpful and parking was safe and easy. Good cooking facilities and comfy beds. I would definitely recommend staying here!